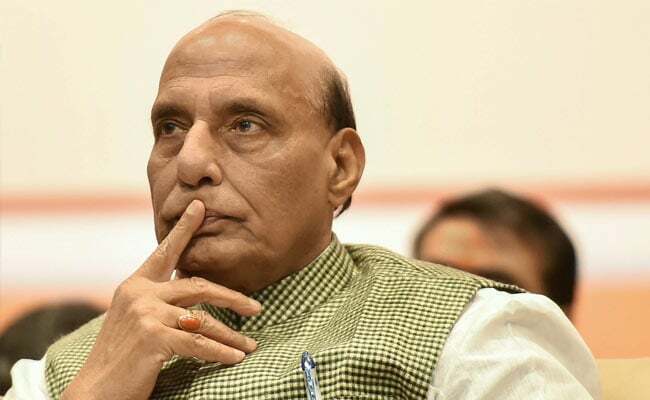 Rajnath Singh said that the UDAN scheme, aimed at making air travel affordable and widespread, is playing an important role in this regard. The number of airports has reached 100 in the country, Mr Rajnath said. Union Home minister Rajnath Singh Thursday flagged off the inaugural flight from Uttar Pradesh's capital city to Najaf in Iraq. Speaking on the occasion, he said the government wants remotest areas of the country to have air connectivity. Mr Singh, who is the Lok Sabha MP from Lucknow, added that the UDAN scheme, aimed at making air travel affordable and widespread, is playing an important role in this regard. The number of airports has reached 100 in the country and the government wants to facilitate air travel for every person, he said. Lucknow has a large number of Shia population and their demand for a direct flight to Najaf was pending for long. Najaf is a city in Iraq, which has great religious significance, especially among Shia Muslims. Along with facilitating passengers, the air connectivity, it is expected, will promote tourism between the two countries.